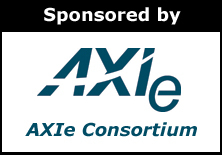 Welcome to the September 2016 issue of the AXIe Newsletter. Basic testing of an electronic device or system includes applying the right stimuli and analyzing the resulting behavior. In some cases, real world stimuli can be used, but in most situations simulated signals must be created and supplied by a test instrument. Many instruments are capable of generating signals including signal generators, noise sources, function/arbitrary waveform generators, pattern generators or pulse generators. These instruments are each designed to generate signals for specific applications. As devices and interfaces become faster and more complex, the flexibility of test instruments becomes more and more important. The number of devices that need to be tested and the simulated signals they require determines the number of signal generating instruments that are needed. Purchasing multiple instruments for different types of signal generation can be very expensive. Engineers are also challenged to develop expertise in configuration and programming for the various signal generators, to ensure repeatable and deterministic results. In a study entitled VXI, PXI, and AXIe Test and Measurement Market Disrupts Automated Test, Sparking New Growth Opportunities, Frost and Sullivan reported the markets size and growth rates of the various instrument standards, updated to include 2015. The study preview can be found here. F&S reported the size of the open modular market (VXI, PXI, and AXIe) to be $809.7M in 2015, now over 20% of the entire automated test market for the first time, excluding dedicated semiconductor test. Modular instruments grew at 7.5% last year, and a close examination of the figures showed that modular instruments were responsible for all the growth in ATE. Traditional instruments declined slightly last year. Within the modular standards, AXIe demonstrated a whopping 61% growth rate, driven by high-end instrumentation. PXI, which includes PXI and PXIe (PXI Express) variants, delivered 8.7% growth, while VXI declined 15.6%. Much of the AXIe growth can be credited to having the smaller base, as the 2015 revenues for AXIe, PXI, and VXI were $63M, $702M, and $105M respectively.